Maintenance records are available. Seller states she was rebuilt 2012 and everything works! Sweet unit that will not last long! Please make an inquiry or call for more information, to set a showing or make an offer! Stock #153782 Commercial Fishing boat. Solid fiberglass Desco. Owner Retiring! 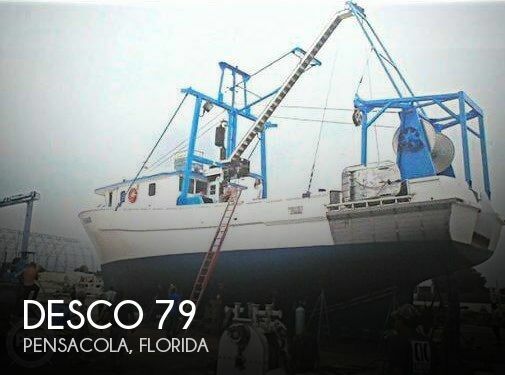 If you are in the market for a troller, look no further than this 1971 Desco 79 Work Boat, just reduced to $125,000 (offers encouraged). 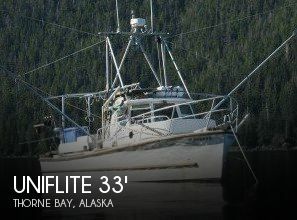 This vessel is located in Pensacola, Florida and is in decent condition. She is also equipped with a Caterpillar engine that has 1,500 hours. Reason for selling is retiring. 2017 MirroCraft 167SC Troller Consisting of 7 models: the four tiller and three side console models, continue to cover the performance and value equation. 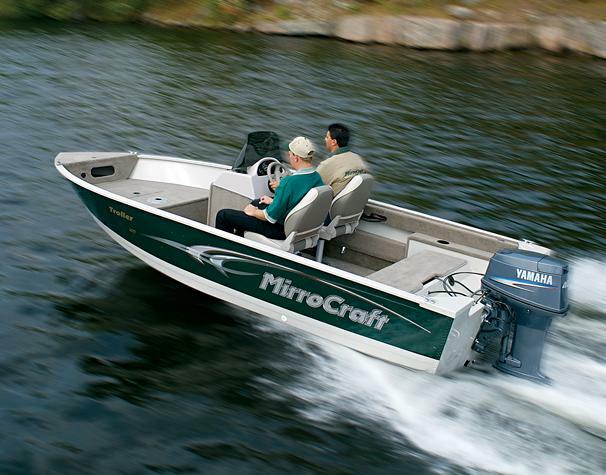 The 145 side console as well as the 1400 tiller bring quality features in a smaller package. The console models feature a fiberglass console and a rear casting platform. All Troller fishing boat models offer great performing hulls with molded-in spray rails for a dry ride and truly great handling. Trollers are very capable performance fishing machines. The list of standard features and available options will verify that. When combined with outboard ranging from 25 to 60 HP depending on model, they offer unmatched performance and value for years to come. 2001 JONES BROTHERS MARINE 22 Bateau 2001 Jones Brothers 22 Bateau The Bateaus are flat-bottom bay boats extremely popular along the North Carolina Crystal Coast. On any given weekend, it's not usual to see a large variety of Bateaus - basic models used by fisherman, trollers with T-Tops, families pulling wakeboards and towable tubes, olive drab boats for duck hunters, and maybe even someone hauling an ATV to the banks. 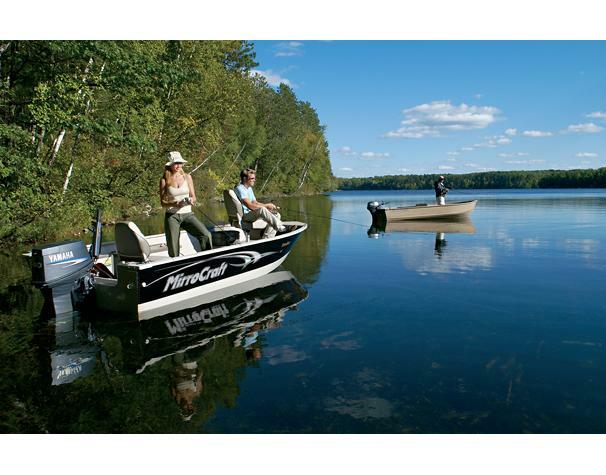 For family sports or fishing, Bateau will fit a variety of needs. This boat is an original owner model. Repowered in 2009 with a 2008 Yamaha F15TLR. Engine has 199 hours and has been regularly serviced since new. All electronics, lights and systems are fully functional. She fishes great, rides great and is super stable is rough seas. An extremely dry boat, she gets excellent gas mileage. And, weve never had a single issue with Ethanol on this motor! 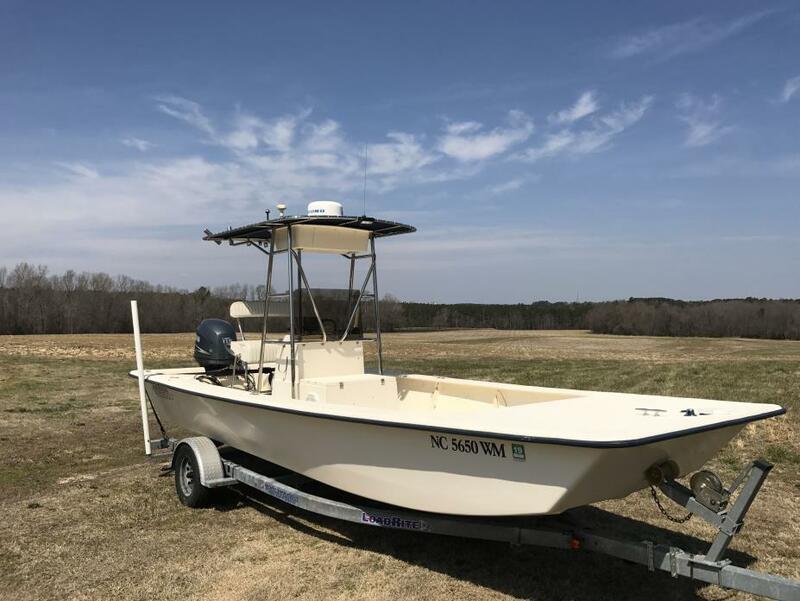 Boat has been used mostly for trips to Cape Lookout with the family, but is a proven fishing machine, having caught dozens of North Carolinas famous Bull Drum each Fall in the Neuse River and surrounding waters. Draws only about 12 of water, so you can go shallow chasing Reds and Trout without worry. Special Features Include: Stainless Steel T-Top with Rocket Launcher Stainless Steel Leaning post with Removable Backrest, 4 rod launcher and flip-up footrest. 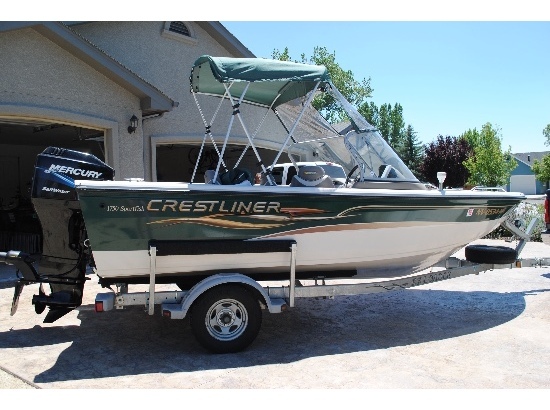 Yamaha F115TLR (2008 Model, 199 hours) Hydraulic Steering Garmin GPSMAP 545S Chartplotter / Fishfinder with Transom Ducer/Speed/Temp Furuno 1610 Radar with 18 Radome. 16 mile range. Sony AM/FM Stereo Compass Front and Rear LED Spreader Lights (New 2017) Group 24 Starting battery (New March 2017) 18-gallon Fuel Tank Yamaha Gauges with Tach, Voltmeter, Oil Temp, Fuel consumption, Mileage, Speed, Hours. Stainless Fuel/Water Separator System Swim Platform with telescopic stainless 3 step ladder Load Rite Galvanized Trailer with Post Guide Ons New boat coming, ready to sell! $14,950. Serious Inquiries Only. Boat is located in Wake County, NC. 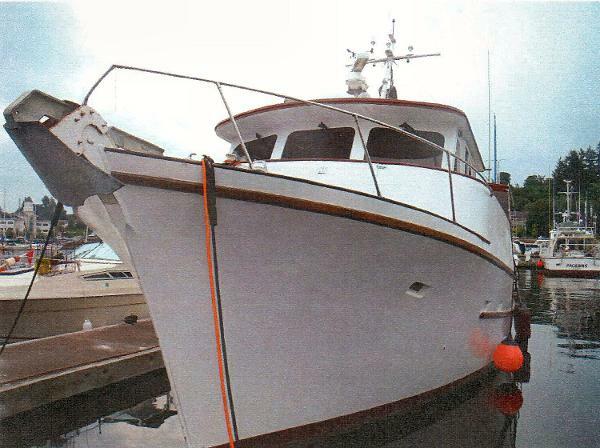 1968 Hansen Pilothouse THIS IS A MOTIVATED SELLER!!!! 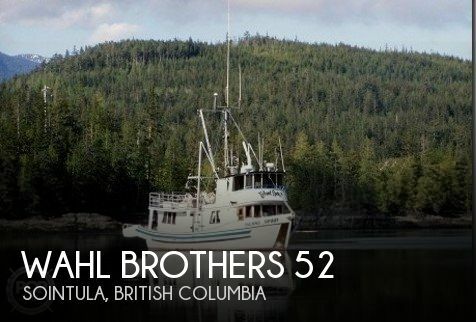 This Pilothouse Wood Trawler was built in 1968 by the famous Hansen Boatbuilding Company of Marysville Washington. Hansen are best known for their commercial fishing vessels, mostly Purse Seiners and Trollers, most of which are yacht quality and looks. Their company set a standard in wood boat construction and later Steel also. “KIA-ORA” is Alaska Yellow Cedar planked over oak ribs. The decks are old growth vertical grain fir. She is powered by twin Cummins diesels. She features a Wesmar Scanning Sonar, Watermaker, Northern Lights Generator and a Commercial Grade Hydraulic Anchor Windlass. 2015 MirroCraft Troller Series 1616 2015 MirroCraft Troller Series 1616 Additional Specs, Equipment and Information:SpecsWarranty: 5 yearsHull Shape: Deep VeeDimensionsBeam: 5 ft 11 inDry Weight: 488 lbsMax Load Capacity: 950 lbsAccommodationsSeating Capacity: 5Manufacturer Provided DescriptionConsisting of 7 models: four tiller and three side console models, the Troller series continues to cover the performance and value equation. The 1685 tiller brings Troller features in a high performance package. The console models feature a fiberglass console. All Troller models offer great performing hulls with molded-in spray rails for a dry ride and truly great handling. Trollers are very capable of performance fishing machines. Just one look at the list of standard features and available options will verify that. When combined with the Mercury outboard of your choice, they offer unmatched performance and value for years to come.DisclaimerThe Company offers the details of this vessel in good faith but cannot guarantee or warrant the accuracy of this information nor warrant the condition of the vessel. A buyer should instruct his agents, or his surveyors, to investigate such details as the buyer desires validated. This vessel is offered subject to prior sale, price change, or withdrawal without notice. 2015 MirroCraft 1415 Troller 2015 MirroCraft Troller Series 1415 Located in Racine, United States Come see this Boat in our Heated Showroom. 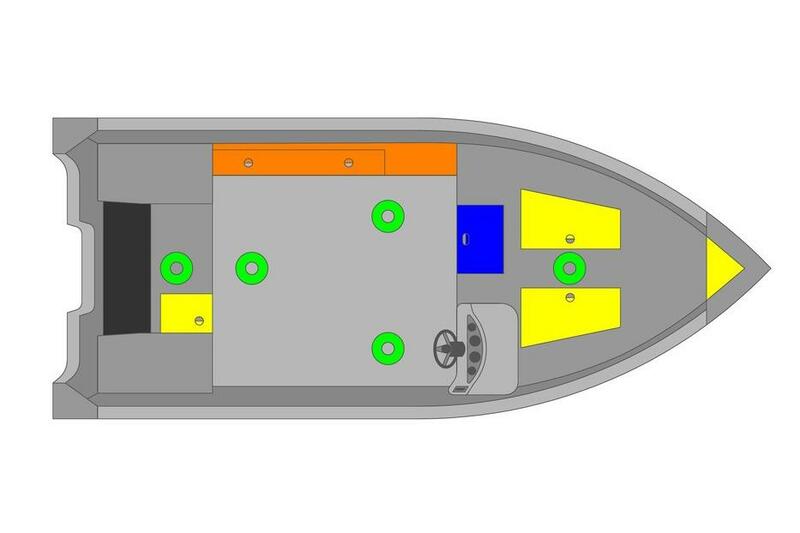 Please Contact Racine Riverside Marine, Inc.. 950 Erie Street Racine, WI 53402 United States YW# 22384-2829198 Additional Specs, Equipment and Information:SpecsWarranty: 5 yearsHull Shape: Deep VeeDimensionsBeam: 5 ft 11 inDry Weight: 400 lbsMax Load Capacity: 920 lbsEnginesTotal Power: 20 HPEngine 1:Engine Brand: TohatsuYear Built: 2015Engine Model: Electric StartEngine Type: OutboardEngine/Fuel Type: Gas/PetrolPropeller: 3 blade propellerEngine Power: 20 HPAccommodationsSeating Capacity: 4Additional EquipmentRoad trailerOptional EquipmentTwo Tone Paint and GraphicsDeluxe Travel Cover with Ratchet Manufacturer Provided DescriptionConsisting of 7 models: four tiller and three side console models, the Troller series continues to cover the performance and value equation. The 1685 tiller brings Troller features in a high performance package. The console models feature a fiberglass console. All Troller models offer great performing hulls with molded-in spray rails for a dry ride and truly great handling. Trollers are very capable of performance fishing machines. Just one look at the list of standard features and available options will verify that. When combined with the Mercury outboard of your choice, they offer unmatched performance and value for years to come.DisclaimerThe Company offers the details of this vessel in good faith but cannot guarantee or warrant the accuracy of this information nor warrant the condition of the vessel. A buyer should instruct his agents, or his surveyors, to investigate such details as the buyer desires validated. This vessel is offered subject to prior sale, price change, or withdrawal without notice. 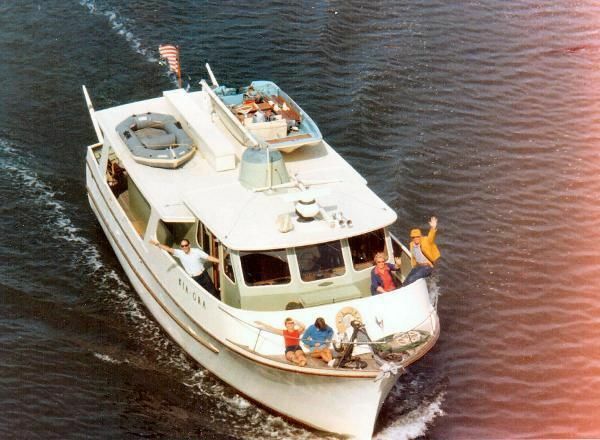 This Pilothouse Wood Trawler was built in 1968 by the famous Hansen Boatbuilding Company of Marysville Washington. Hansen are best known for their commercial fishing vessels, mostly Purse Seiners and Trollers, most of which are yacht quality and looks. Their company set a standard in wood boat construction and later Steel also. “KIA-ORA” is fir planked over oak ribs. The decks are old growth vertical grain fir. She is powered by twin Cummins diesels. She features a Wesmar Scanning Sonar, Watermaker, Northern Lights Generator and a Commercial Grade Hydraulic Anchor Windlass. 2014 MirroCraft Troller Series 1677 2014 MirroCraft Troller Series 16772014 Troller 1677 with Merc 60 hp Consisting of 7 models: the four tiller and three side console models, continue to cover the performance and value equation. The 1416 side console as well as the 1400 tiller bring quality features in a smaller package. The console models feature a fiberglass console. All Troller models offer great performing hulls with molded-in spray rails for a dry ride and truly great handling. Trollers are very capable performance fishing machines. The list of standard features and available options will verify that. When combined with outboard ranging from 25 to 75 HP depending on model, they offer unmatched performance and value for years to come.